The president of Royal Enfield, Rudratej Singh has recently ridden his company’s brand new bike the Interceptor 750. 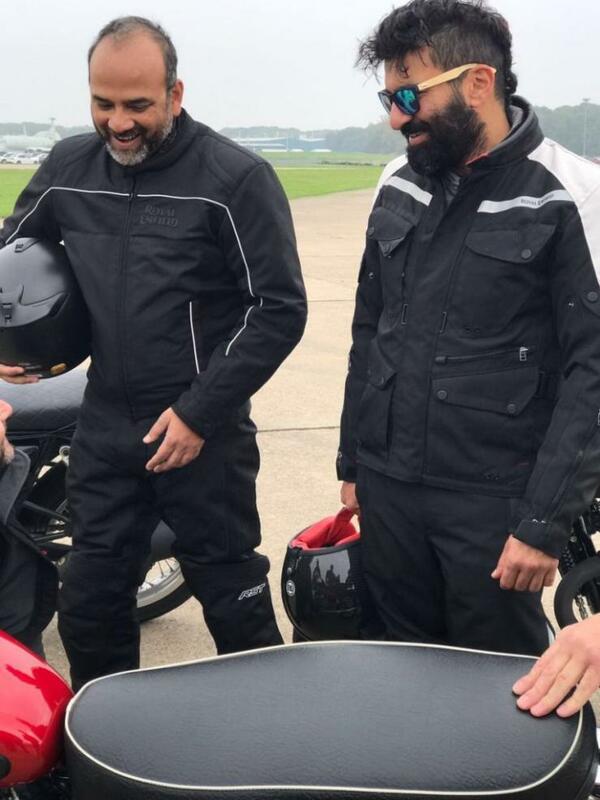 Mr. Singh was joined by Eicher CEO Siddhartha Lal during the test ride at the company’s Bruntingthorpe test track in England. 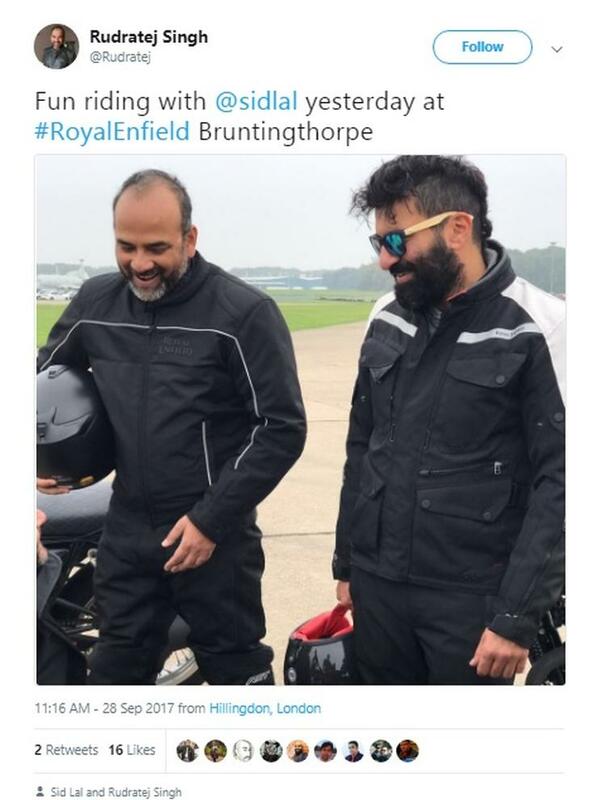 After the test ride, Mr. Singh tweeted out a picture of the bike as a teaser for Royal Enfield fans. There is a lot of eagerness among bikers in India for the new 750cc Interceptor as it will be the biggest displacement bike made by an Indian motorcycle manufacturer. The 750cc bike may be offered in two variants. One variant will be a Cafe Racer like the Continental GT. Dealers of Royal Enfield in India are not taking new bookings for the 535cc Continental GT. We believe that it is due to the new bike coming in. The official reveal will happen on 7th November, at the EICMA motorcycle show in Milan, Italy. We are not sure if the new bike will replace the 535cc model or whether it will be built along with it as a higher capacity variant. Another variant of the 750cc bike will be a street bike. The street bike will have styling similar to the Triumph Street Twin. Though Royal Enfield has not revealed the details of the engine of the Interceptor, we can make out a few details. 1. It is a parallel twin. 2. It will have fuel injection. Siddhartha Lal has revealed that Royal Enfield will operate in the mid-size category between 250 and 800cc. This means that the Interceptor’s engine will be under 800cc. 3. The bike may have an overhead camshaft since we can’t see a tappet door on both the cylinders. The other details of the bike are: It has twin exhausts, 17 inch rims, disc brakes on both wheels, ABS and a radiator in front. Peak power of the engine may be around 55-60 Bhp. Torque may be 70-80 Nm. The bike’s price is said to be under 4 lakhs.